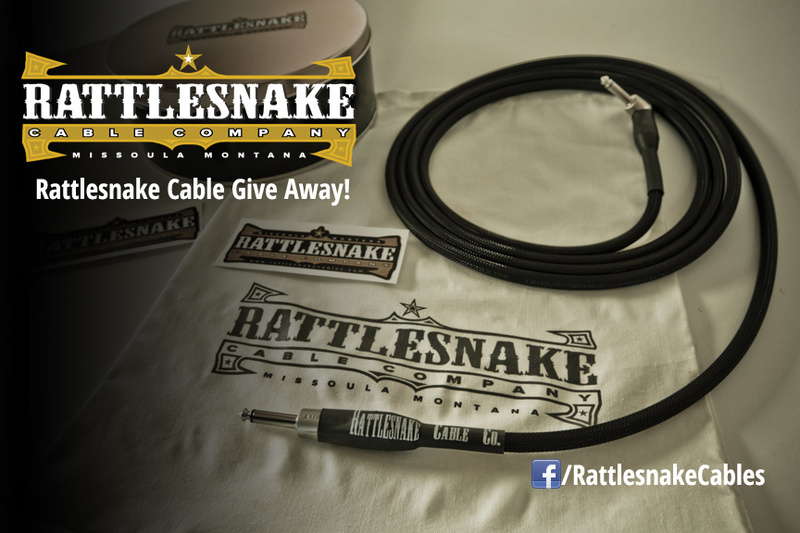 Home Rattlesnake Cable Give Away – Reminder! Rattlesnake Cable Give Away – Reminder! I’m excited about this give away.. well, because it’s mine! I started Rattlesnake Cable Company about a year ago, and I’m at the point now where I’m trying to get the word out. The emphasis on the cables spawned from my own needs. I wanted a quality cable, but a better price point. So what do I call “quality”. I wanted burly cable with excellent shielding AND low capacitance signal. I’ve talked a lot about capacitance and buffers in the past on this site, and a big portion of that is your cable. Starting off with low capacitance cable, the better the tone. Higher shielding helps with noise, and I found a cable that has great shielding and has very low capacitance. I’m also a big fan of Amphenol plugs, so I wanted these on the cables I offer. I then wrap the whole cable with some nice weaving to help protect that cable when stepped on, etc. The response to Rattlesnake Cable Company has been insanely awesome. Building something that musicians enjoy is something very fulfilling! I’m hoping that a few of you would ‘like’ Rattlesnake Cable Company on Facebook. I’ll be announcing more give aways there for cables as well as showing off some great cables and offering sales/deals. If you’re curious about the cables for yourself, please check out the Facebook page as well as the official site for pricing/options. So, I’m offering up a 10′ Rattlesnake ‘standard’ cable with right angle and straight Amphenol plugs to a lucky EffectsBay reader. Please go here for instructions (and the form) to enter. Be sure to ‘like’ Rattlesnake Cables on Facebook to be eligible for a bonus prize if you’re the winner. The give away will end on July 31st, so be sure to enter before it’s too late! Small Sound Big Sound – Team Awesome! Fuzzmachine Give Away – Reminder! JHS SuperBolt Give Away Reminder! EarthQuaker Devices Disaster Transport SR Give Away Reminder Rattlesnake Cable Give Away! I’d like to win this cable! !